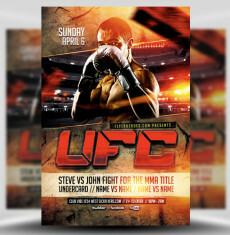 Round 1, Fight! 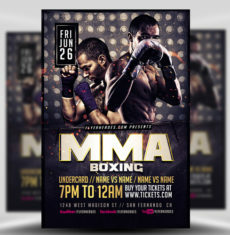 Mixed Martial Arts, Boxing events and locally organised Fight Nights are increasing in popularity. 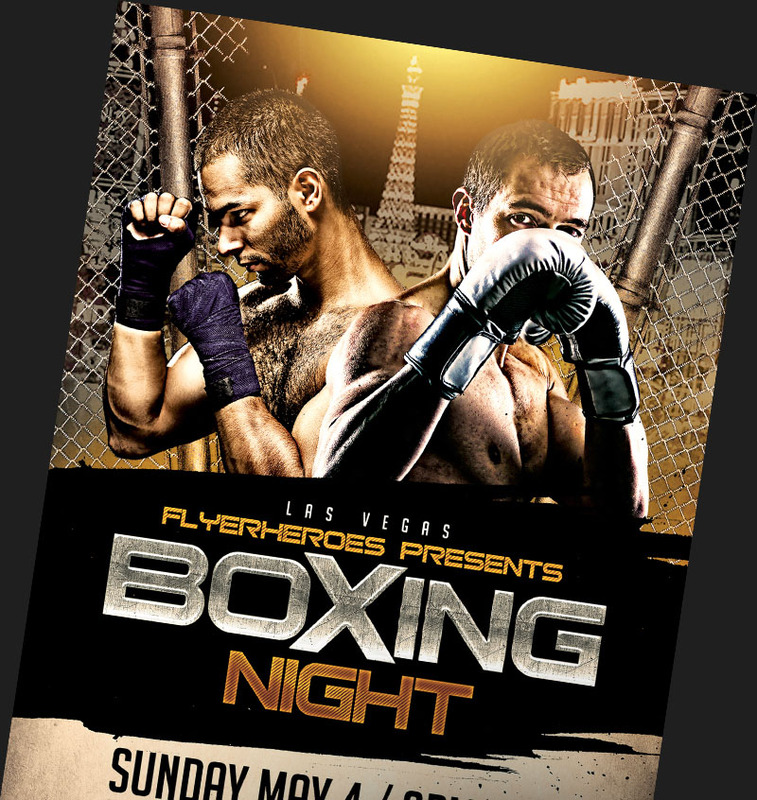 Use FlyerHeroes Photoshop PSD templates to create impactful promotions. 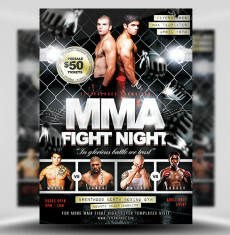 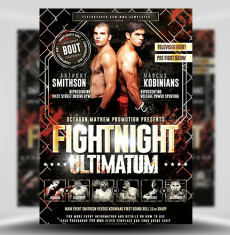 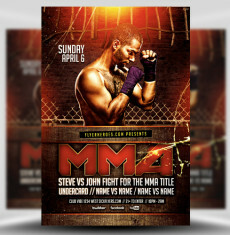 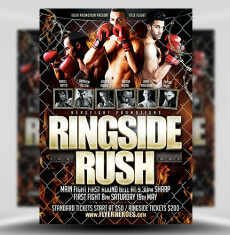 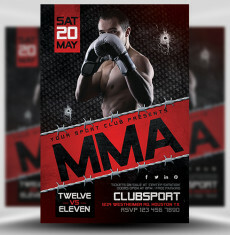 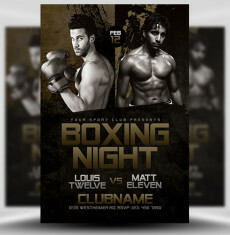 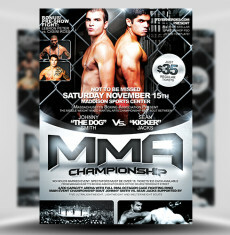 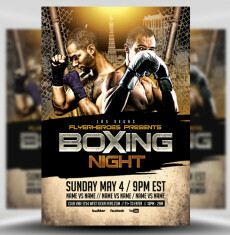 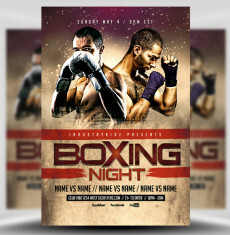 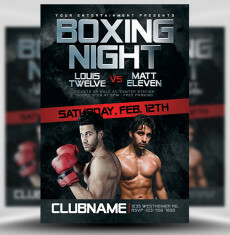 Our selection of MMA & Boxing Flyer Templates allow you to easily create powerful flyer designs that pack a crowd-pleasing punch.